"A sunny day, an open road and the slipstream gently caressing your flowing looks. For some, there are feelings that are impossible to piut into words. Equipped with a revolutionary TwinPower Trbo fan, the new BMW dDrive dog basket is designed to satisfy the unspoken needs of the canine community and bring the windswept thrill of the drive to a safer, more dog-friendly environment. 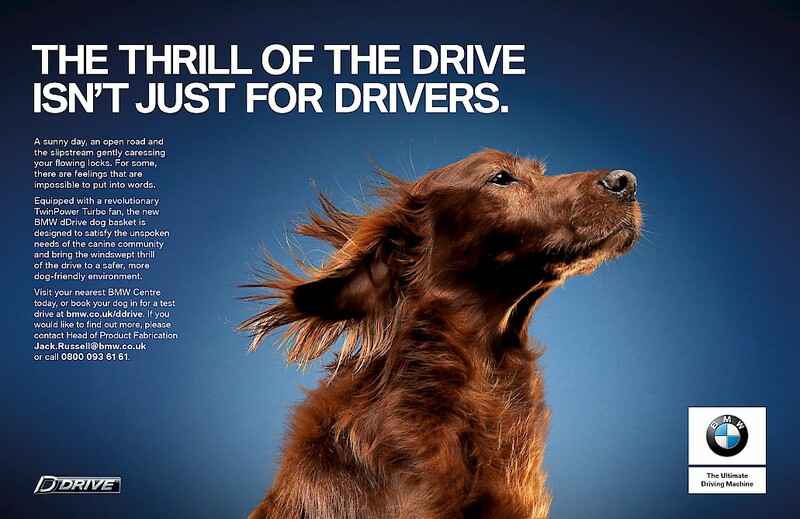 Visit your nearest BMW centre today, or book your dog in for a test drive at bmw.co.uk/ddrive. If you would like to find out more, please contact Head of Product Fabrication Jack.Russell@bmw.co.uk or call 0800 093 6161." Hope you enjoy the BMW 2017 April Fools!